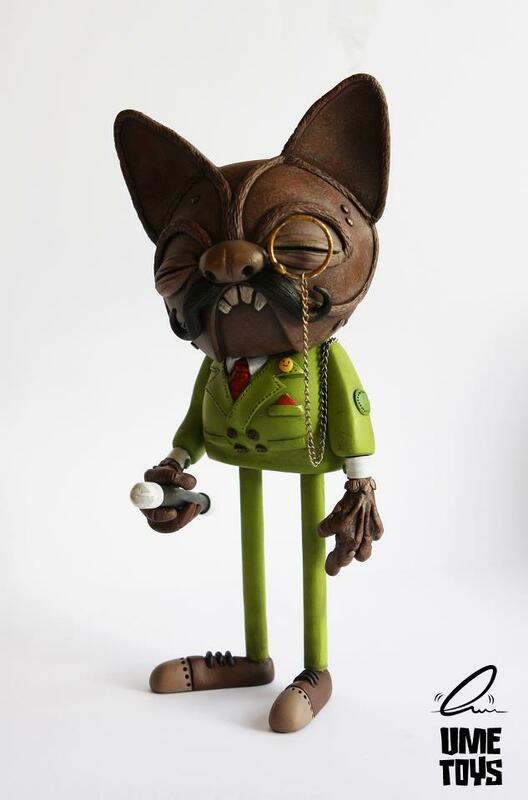 Southerndrawl made this mindblowing custom Fonzo for the Fonzo Love NY show @ MPH (Jan 11). Enjoy! This guy is on fire, two more commissions finished. 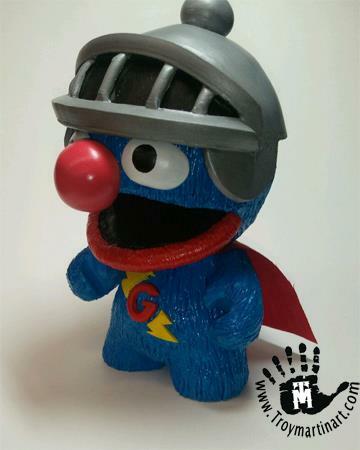 The Super Grover is my favorite, wich one is yours? 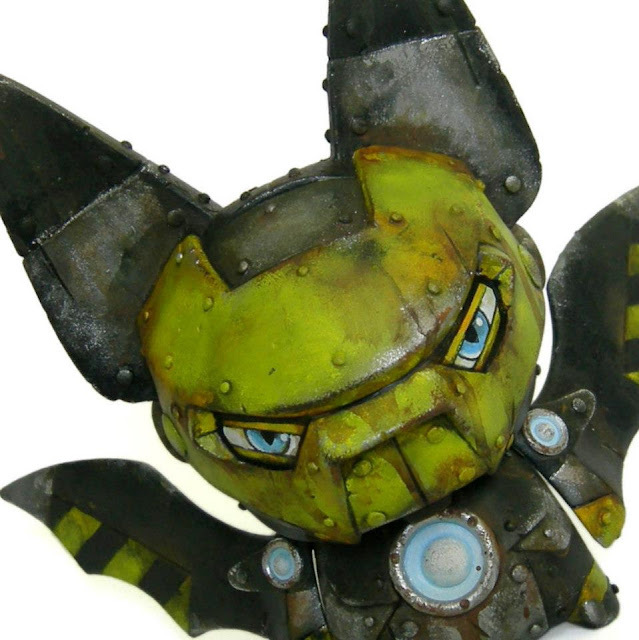 An amazing custom Fonzo by Umetoys. The whole concept is extremely well executed. I love those hands! 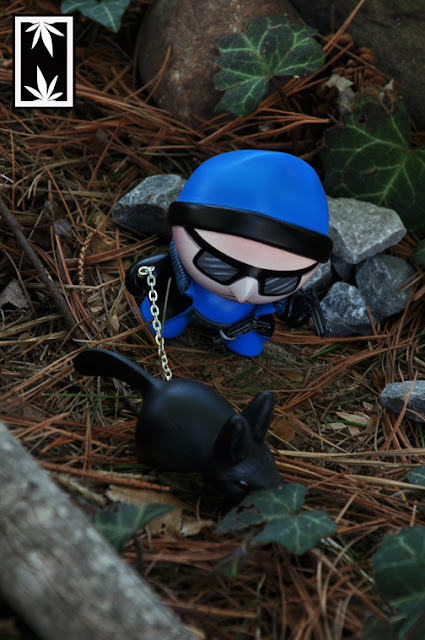 The latest from AVATAR666 a Mini Munny with some excellent sculpting! 7 Seal Blind Box resin series by Menace Inc now up for sale! Dice Age - Toys, Art & Endless Games All in One! 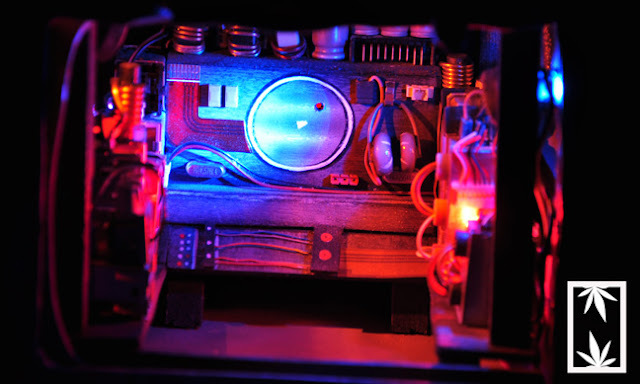 Dice Age is art, it's a game, and it's a toy, but it's more than that. Lovingly designed and submitted to Kickstarter, they were originally supposed to be produced by a factory overseas. When the factory did not come through as promised, the designer was left with orders to fill and no product. Why should it end there? 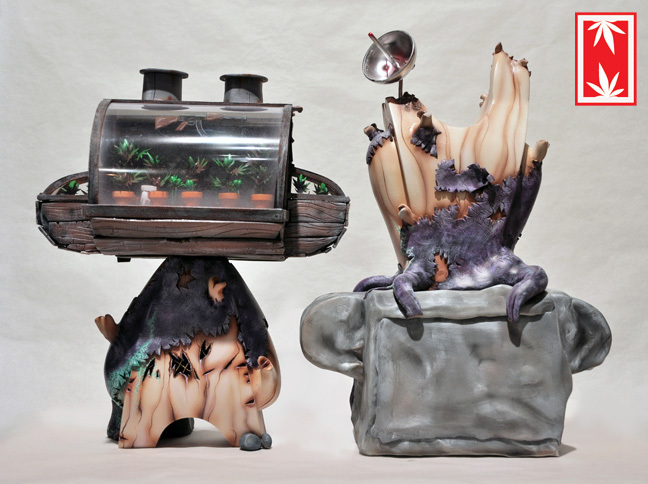 In an inspiring tale of perseverance, they began casting by hand in resin, and painting each one. Now they are being made available to the rest of us as well! As with traditional dice, there are no limits to the games you can play with these. 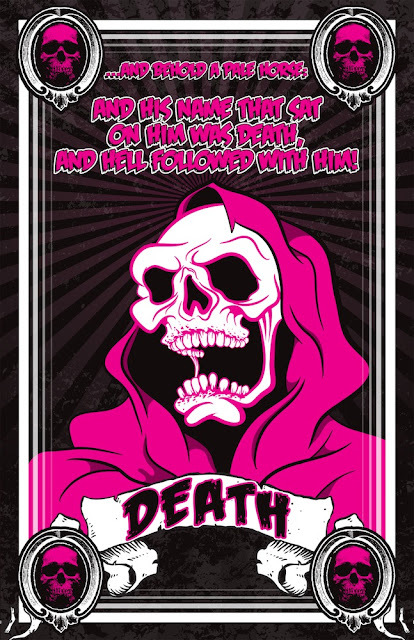 There is a Compendium outlining the aspects of each die (40 different sculpts in 2 series so far) and there are at least 4 primary games being played already. The website attempts to document them all, from short and simple (a stacking game) to a fairly complex strategy game for 2-4 players that can take up to a half hour. To play the games, all you need is a handful or more of these lovely clunkers, and at an average cost of about $3 each, that's not hard to get. At the site you will find the option to make custom 2-packs from each series, so you can pick the pieces you want, or you can order a complete set of either series. 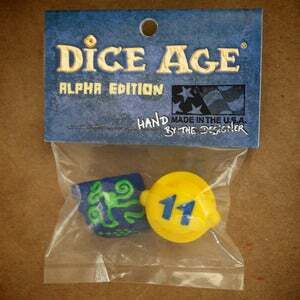 Each of those are hand-painted by the designer but there is also an option to buy 15 unpainted dice for $32. 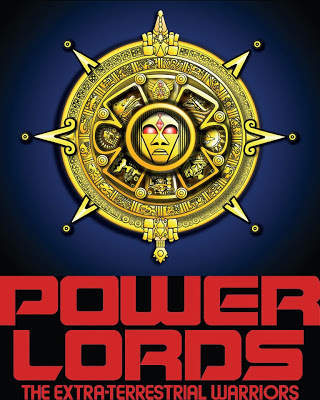 Four Horsemen to Revive Power Lords in 3 3/4! 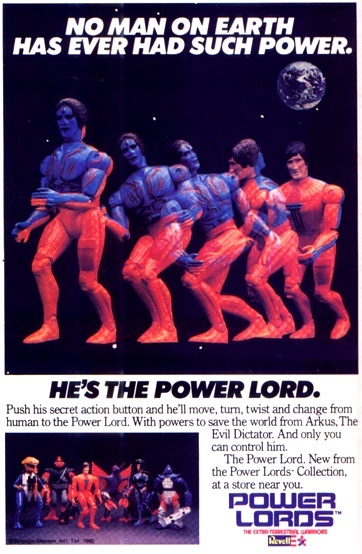 At Toypocalypse 3 in NYC this February 9th, the Four Horsemen will unveil prototypes of their new Power Lords, based on the vintage line by Revell. 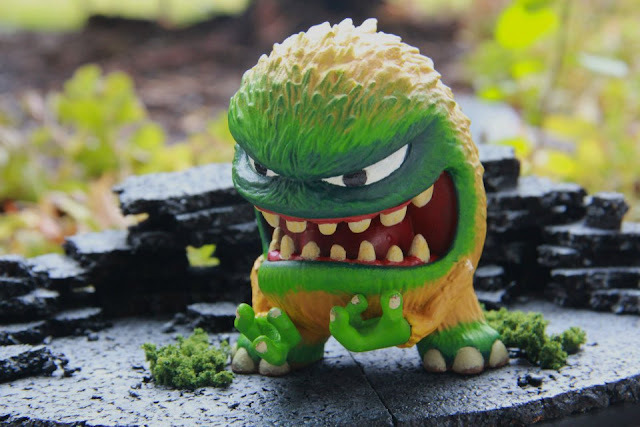 Having acquired the license and teamed up with the original creator Wayne Douglas Barlowe, they plan to release a 3 3/4" scale action figure line with a mixture of traditional articulation and Glyos-compatibility. 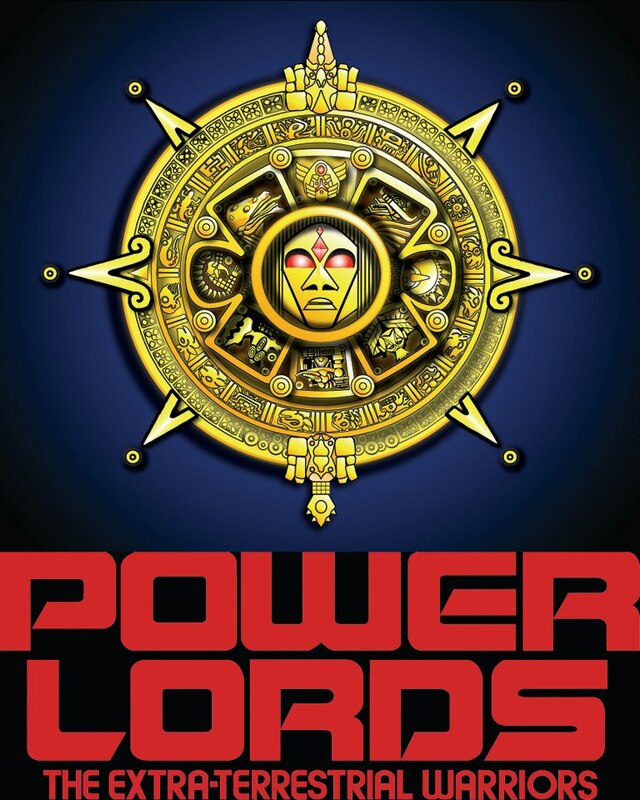 At the new Power Lords website you can sign up for the Official Fan Club and get early merchandise as well as advance notice of sales and first chances at product. This is available at $20, $50 and $150 levels, so there is something for fans of all kinds. 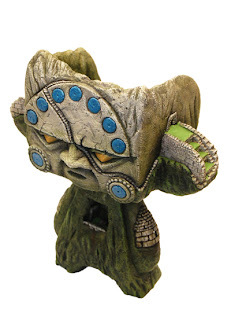 I'd highly recommend choosing one of these if you are serious about collecting these figures. 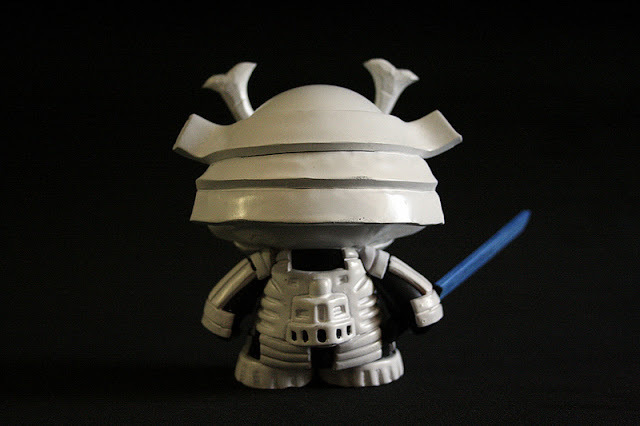 The 4H have proved with their Outer Space Men figures have proved that those boys know how to handle the Glyos system with typical aplomb, so rest assured this will be a line to watch, and grab quick! 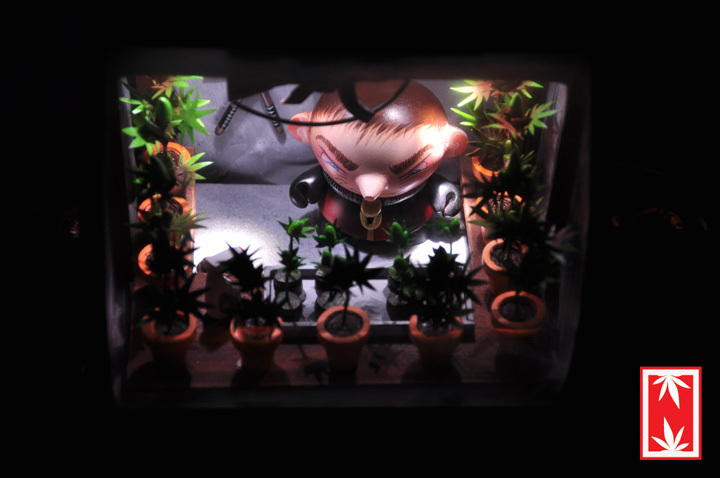 Kevin Gosselin recently posted a few of his latest completed customs on his blog: a Custom 3" Betso Dunny and a Custom 5" MadL. 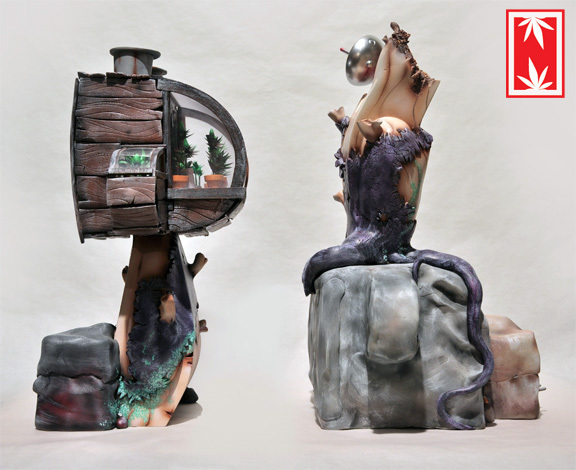 Known for his great sculpted pieces, these two latest customs by Kevin are indeed some awesome sculpted pieces. 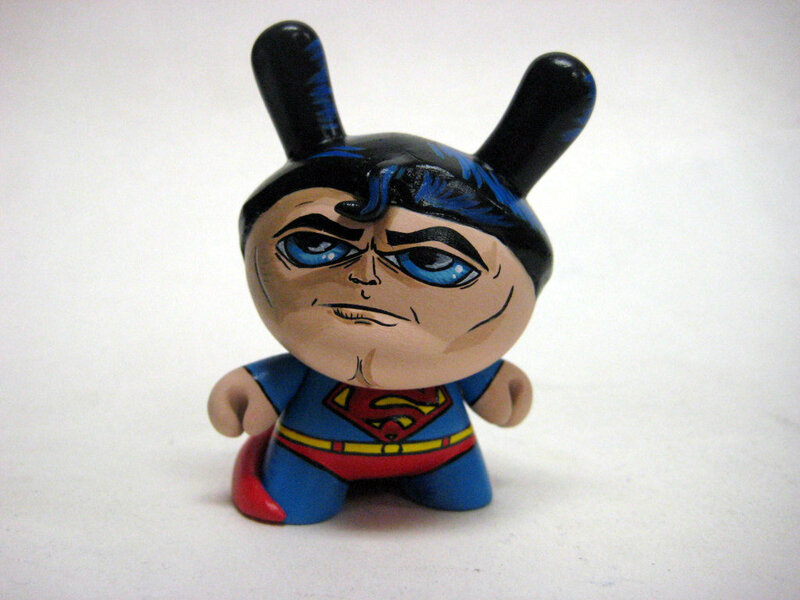 The "Slow Rider" is a custom 2011 Betso Dunny. 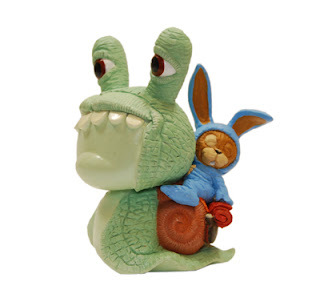 The Rabbit rider comes complete with a canteen and sleeping blanket, just like any proper rider. 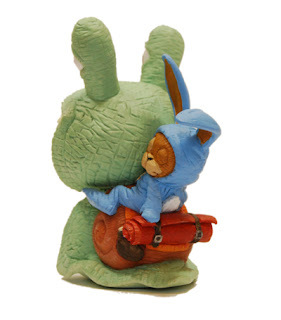 The rabbit rider looks similar to the smaller rabbit Kevin created inside of a backpack for the Most Wanted 3 Dunny Series. 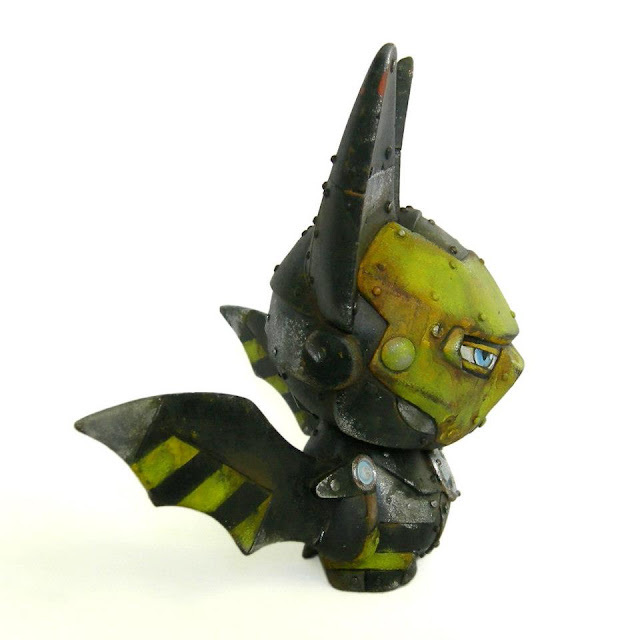 I like how Kevin incorporated the Betso Dunny in this custom, rather than just completely recreating a whole new figure, you can still tell that the Betso Dunny is still within the custom. 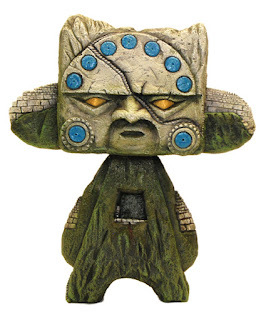 The Custom 5" Madl, titled "Tambo Inca" (Inca Fort), is another sweet sculpted custom. The detailing in all of the steps and brickwork is amazing. The Inca styled face and added moss-like texture just adds to the great detail yet to be seen in this custom. 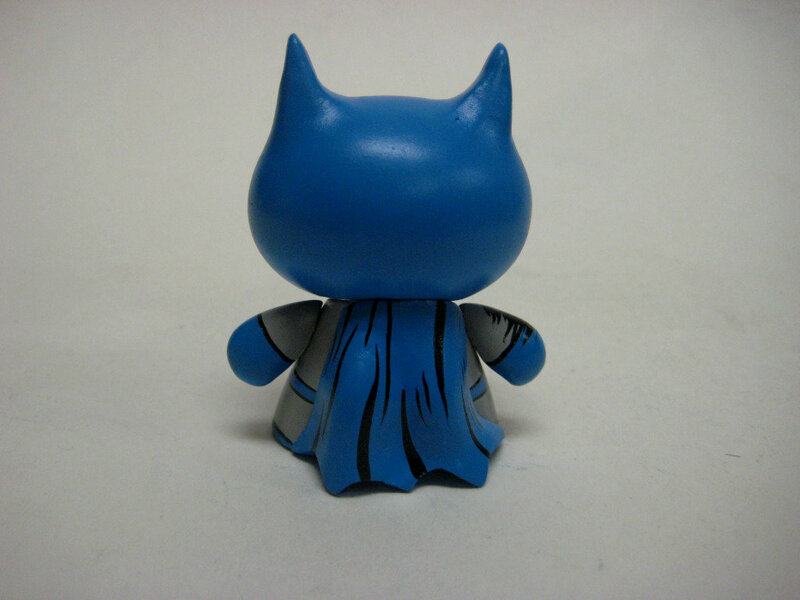 I'm sure the recipient of this custom will have tons to look at when he/she gets the custom in hand. 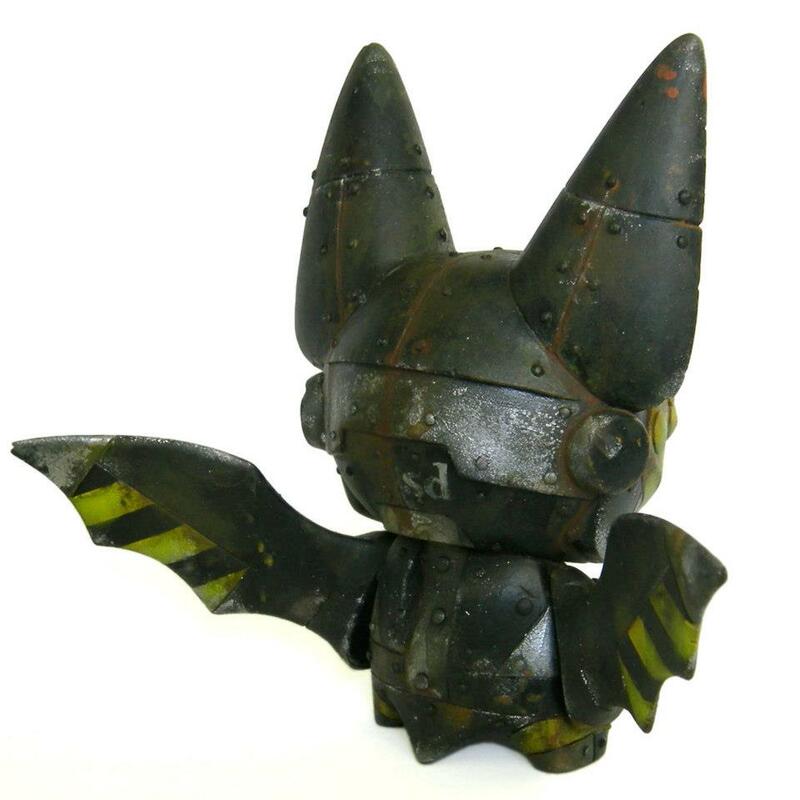 Both customs seem to be commission pieces and therefor not for sale. For any collector wishing to have a commission made by Kevin Gosselin, Kevin always seems to be taking commission requests. Keep in mind the list may be quite long. Also, Kevin is working on getting the Kozik Bust he created for the Kozik show at 1AM Gallery, mass produced in a sense, sometime next year. So if you are going to request to be added to Kevin's commission list, be patient like the collectors of these 2 customs and you are sure to not be disappointed. If you don't know who PJ Constable is, get to know this teen's art. PJ Constable is a young and talented UK based artist who continues to amaze people, including myself, with his unique and colorful characters. Getting invited to group shows left and right, PJ has a very unique style in my opinion. I first met PJ at Kidrobot London, during the 2012 Dunny release. 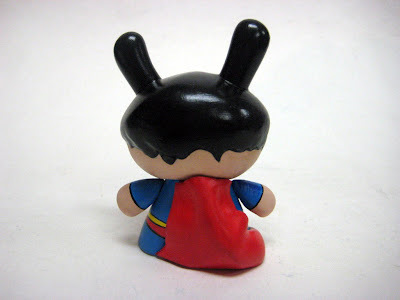 A collector as well, PJ was there with his family for the artist signing and dunny series release. PJ brought with him a few customs he was working on, blogged about here, which turned out to be great art pieces once he was done painting them up. His recent completed work happens to be a 3" custom FatCap commission for another cool artist, Mike Die. The colors and sculpt on this piece look quite nice and I love the little details like the cracked pot and real toothpick. Mike is one lucky collector. As PJ continues to grow and create great pieces of art, he will undoubtedly be tasked with a long commission list, so get at PJ while you still can. Hopefully, he has time to squeeze you in. Keep in mind that PJ is still in school and creates in his spare time. I look forward to seeing more of PJ's work in the future, whether it'd be a part of a group show, custom commission or maybe even a solo show down the road, only time will tell. 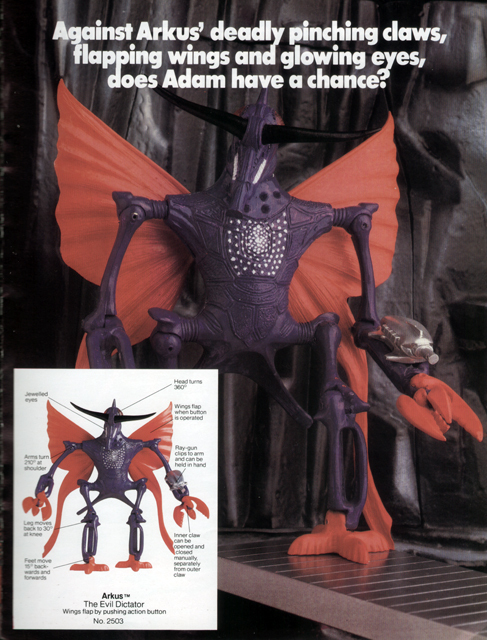 Motorbot's Toy of the Month Club! 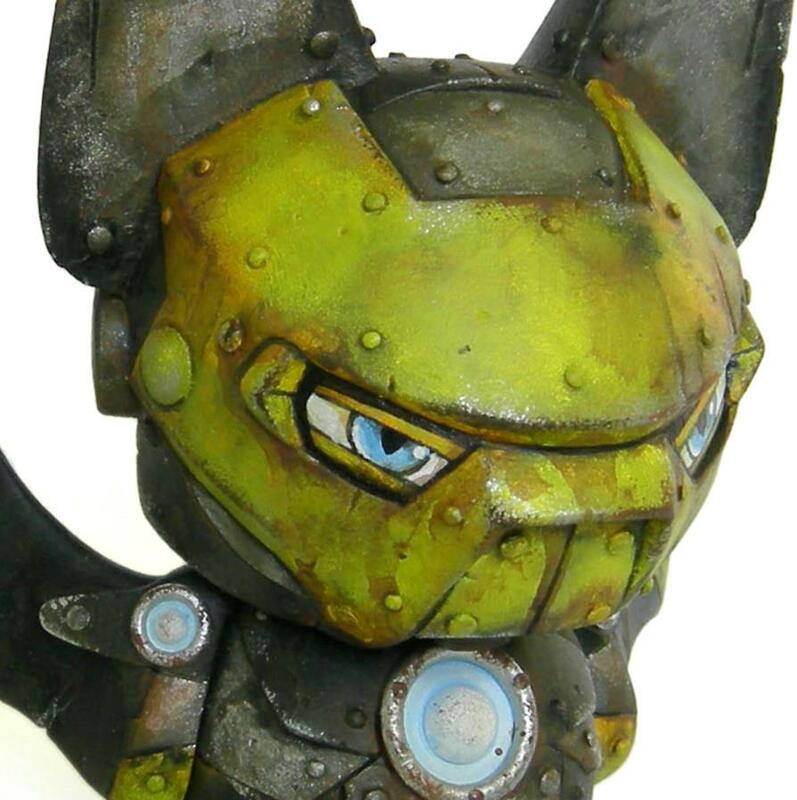 Motorbot, of Deadbear Studios, recently released a Toy of the Month Club. 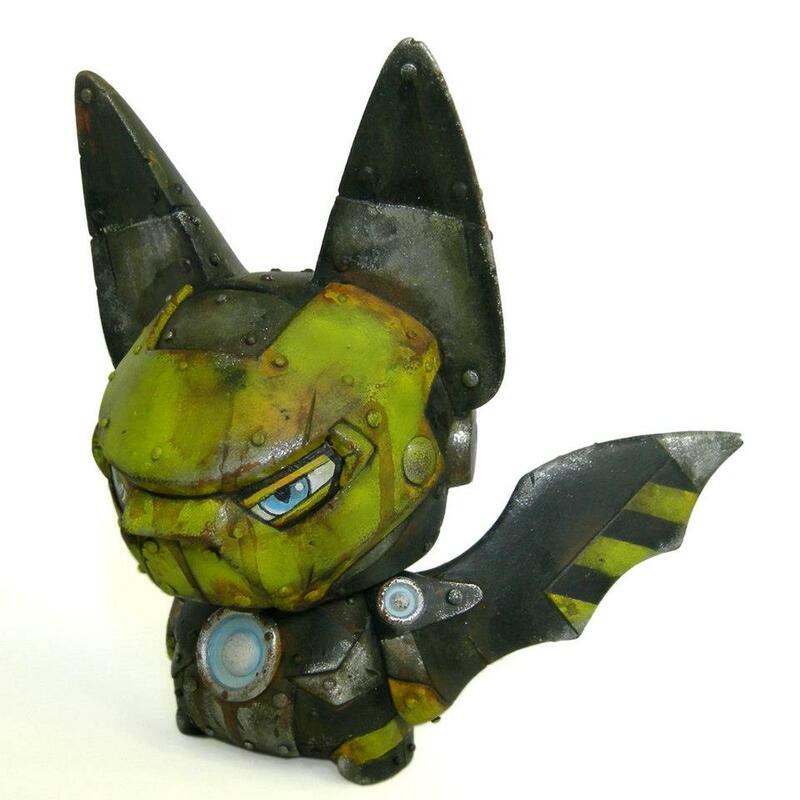 This is basically a pre-order for 12 (or maybe even more) different resin sculpts that will be created by Motorbot. Each subscription will include an exclusive colorway and in some cases, an exclusive figure not available to the public. Each figure is set to ship on the 10th of each month and the club is limited to only 10 Subscriptions, starting the month after a subscription is paid for. I personally love the idea of artist subscriptions, however, I can see how fronting a bunch of money can be a bit taxing on anyone's budget. Motorbot's Toy of the Month club is actually really affordable. Considering, that most of Motorbot's typical figures sell for $20 plus shipping, the subscription cost of $270 (which I believe includes shipping) for Motorbot's Toy of the Month club is great offer for any collector! 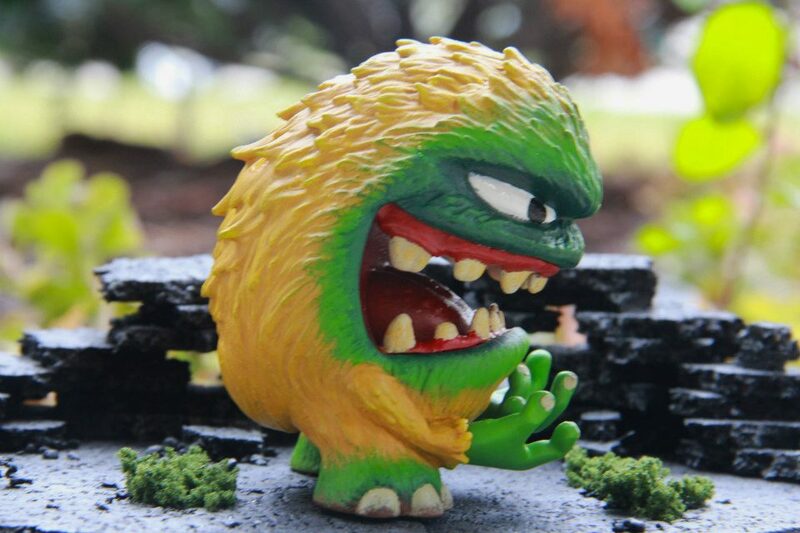 This custom-painted resin collectible is being auctioned on eBay by a guy named Eddie Ortega. The platform is the Groper, which was created by Rich Fournier (Triplikid). 100% of the money raised from this auction will be donated to United Way of Western CT.
Click here to bid on this item on eBay. For the past 3 years I've been working on a series of works portraying a seen in American society for hundreds of years now. NUGGLIFE a world were underground influences emerge to create an exclusive lifestyle......the hustler! ​ These three characters of mine Nuggs, Thugz, and Crooked ED, are out to do what they do best....supply and demand, and everyone goes home happy. Now of course there's people to interfere with NUGGLIFE's transactions. In this new set I've included something that's never been seen before, "The DEA Headquarters". This operation is much worse than NUGGS expected. Now with tracking technology, cloning devices, and a hide out the DEA are back in action! 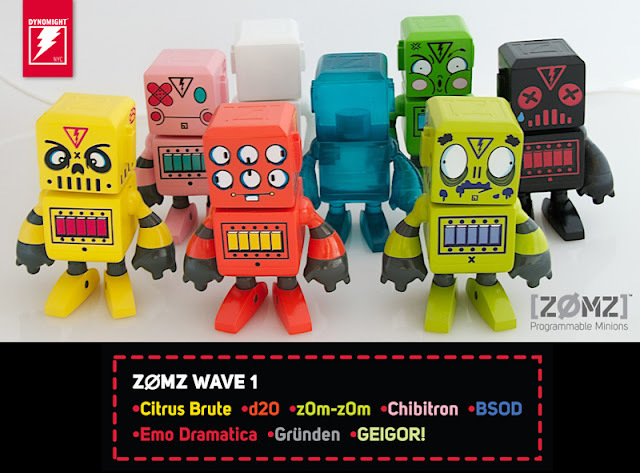 Dynomight NYC (http://www.dynomightnyc.com) is excited to announce its new platform figures, Z0MZ [Programmable Minions]! 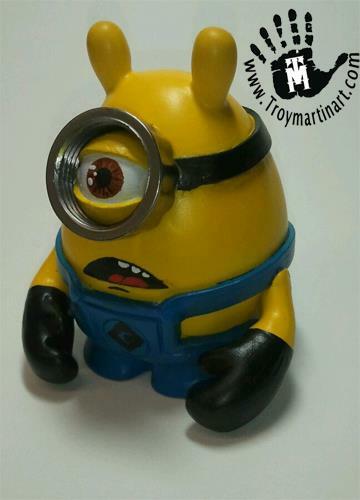 Standing in at 4 inches tall, these handmade resin minions are limited to only 35 pieces per design. Does this mean you're going to have to shell out a few hundo for each piece? Nope. These exclusives will only run you a mere $35. (Plus shipping and handling.) Dynomight wanted to make this series as affordable as possible. One figure will be released each month. 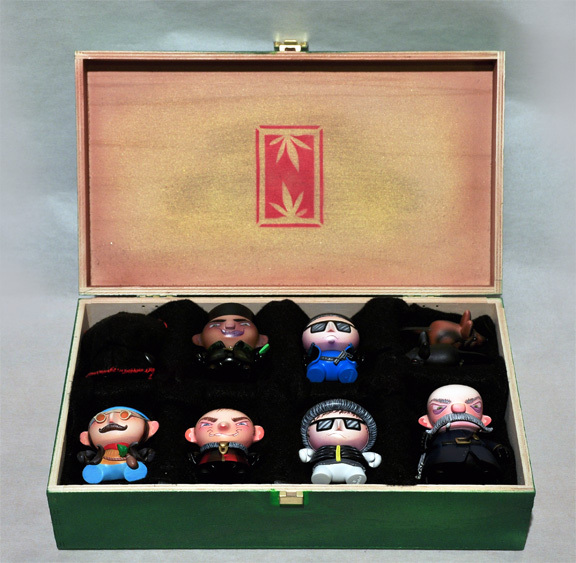 Each Z0MZ minion will be shipped in a custom made box with a foam insert for protection. 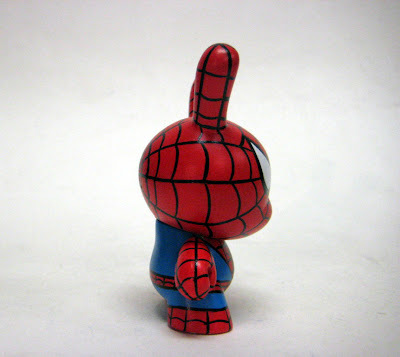 Huge props to Bigshot Toyworks (http://www.bigshottoyworks.com) for doing the sculpt and manufacturing. They do fantastic work! 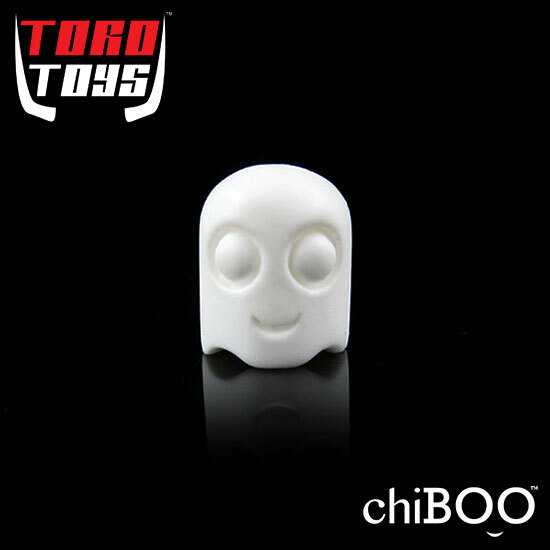 Toro Toys is now releasing their chiBOO 1-inch resin sculpt as singles for just $5 each! 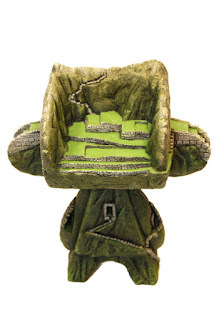 That's a crazy low price for a really simple and cool little sculpt. I dig it. Buy it here. chiBOO are spirits from beyond our world, lost souls if you will. If they are lost why are they smiling you ask? Because they are glad to meet you! Give them a home and they will be your friends forever. 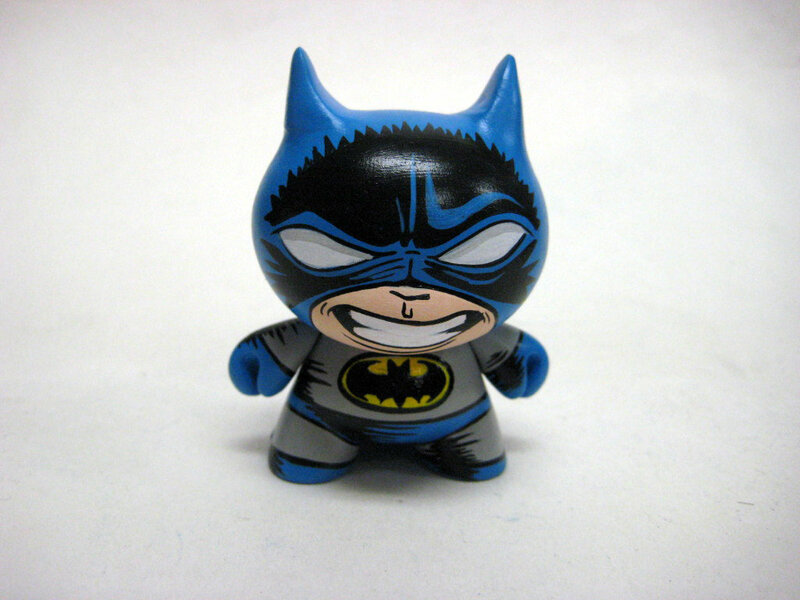 Cast in durable solid white resin and 1″ tall, this release is intended for designer artists and customizers who want to make their own special chiBOO figures. 7 Seal Sneak Peek: Cash Cannon's 3rd Horseman "Famine"
With a little help from some of our friends, Cash Cannon has been learning a lot about making resin figures this past few months. It's really opening up his skill set to a whole new type of artistic expression. Cash is, by trade, a tattoo artist. This is a WIP shot of his "Famine" sculpt for Menace Inc Studios' 7 Seals Blind Box Series, which will be released locally in one of my favorite states, North Carolina, on Thursday. Check the Facebook event here. WHAT ARE THE 7 SEALS? The 7 Seals are based on the biblical 7 Seals of the Apocalypse. Each of the 7 Seals being broken to usher in that level of the Apocalypse. 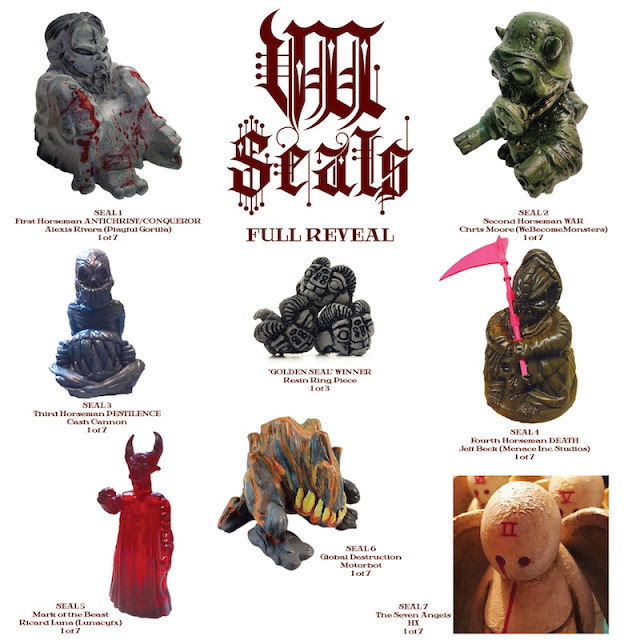 Each Seal theme was given to one of these awesome resin artists for them to come up with an original sculpt of what that seal meant to them. They will each cast 7 standard versions of their design as well as 1 Chase Variant of their design. 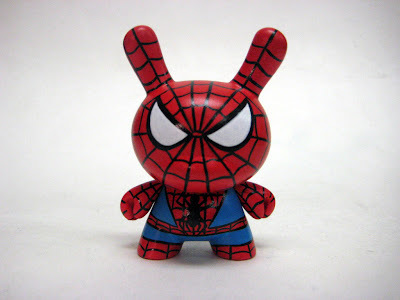 The latest 3 inch Dunny's from PopCornHead. "Direct From Canada my new Custom Dunny "Peenito" Came to make the Xmas much Happier!" 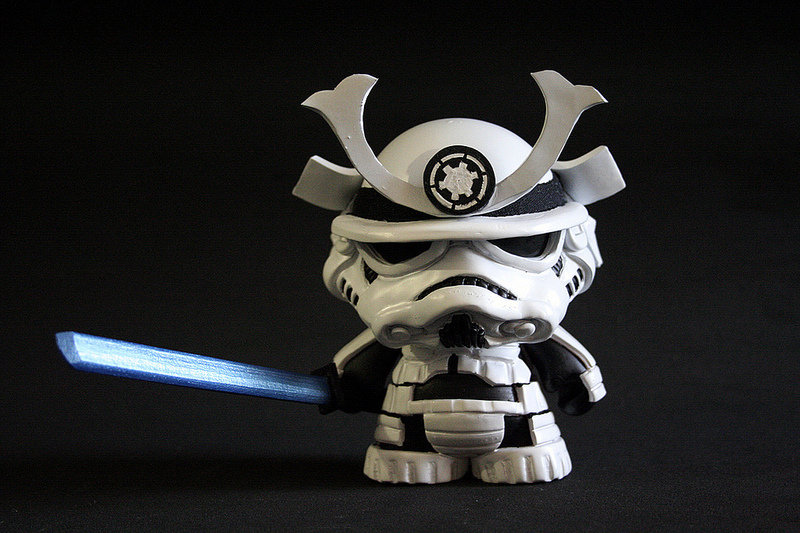 Creating cool customs is something that seems to come naturally for the 64 Colors duo. 64 Colors recently put up some very sweet customs in their shop: a 7" Trikky, a 7" Foomi and a 4" Trikky. Each exquisitely painted custom comes with an equally exquisite hand painted accessory. I love the way 64 Colors creates the eyes on each piece, as well as the depth of the wood-like texture. 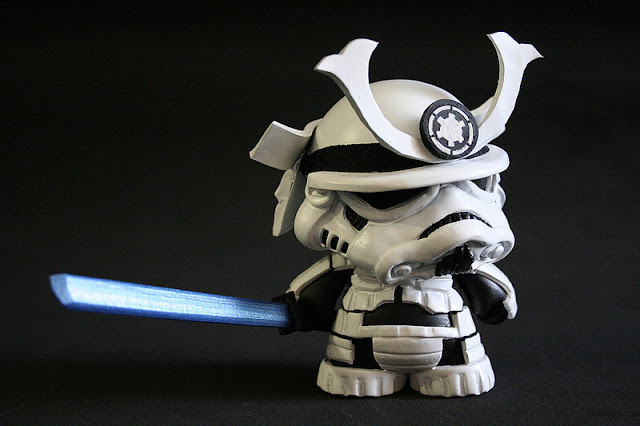 Awesome pieces of art for any collection. 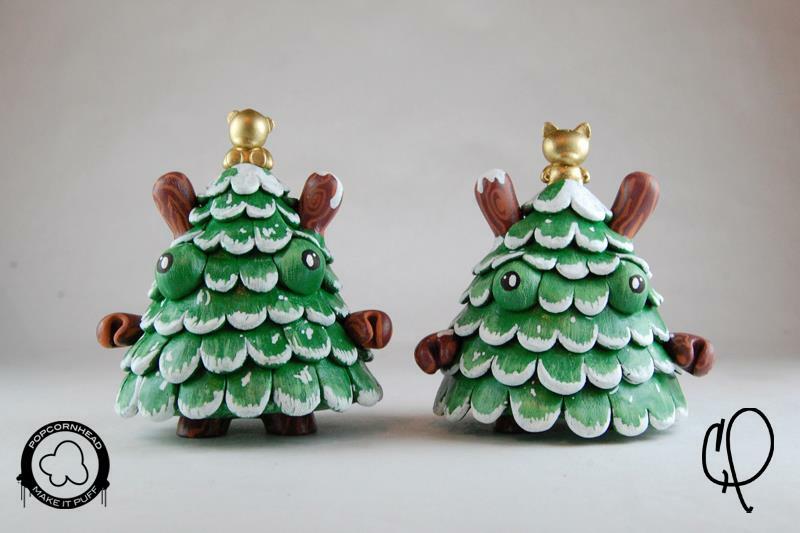 The 7" pieces are priced at $375 each, while the 4" Trikky is going for $230, plus shipping on each piece. Also available in their shop is a cool 5.5 x 7.25" painting titled "Thoughts", which is priced at $325 plus shipping. Motorbot is all geared up for the holidays! Bash is popping them out!